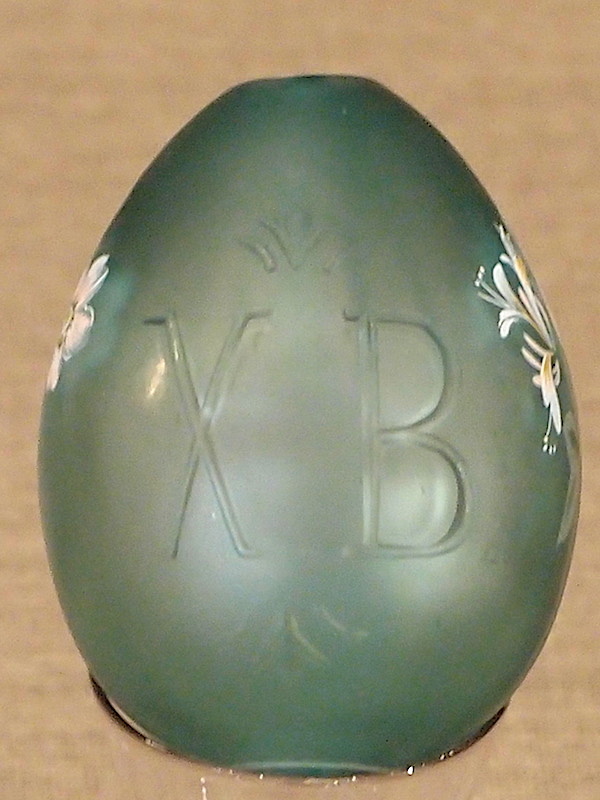 Marked on the front with an XB, the standard abbreviation on Russian Easter eggs, for Christos Voskrese: Christ is Risen. The obverse is enamelled in naturalistic colours with a floral spray. 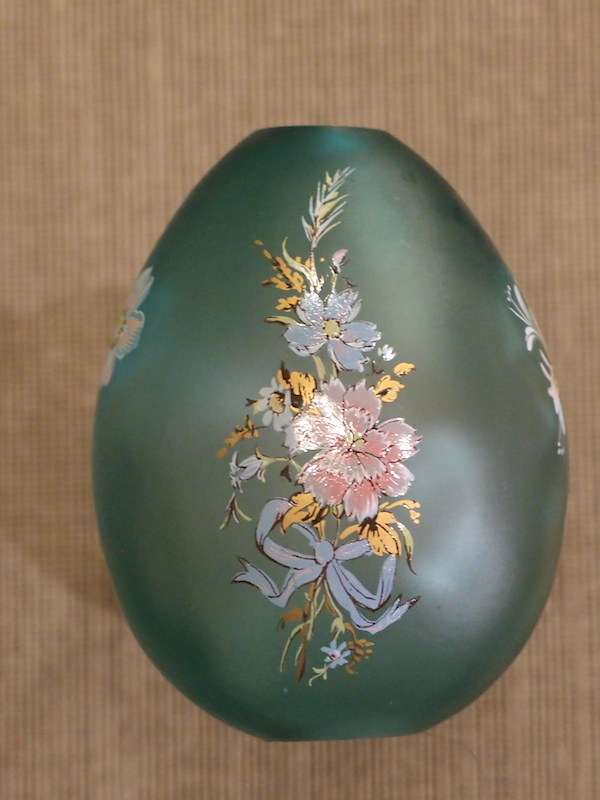 This egg is hollow and has a hole at the top and the bottom for a ribbon to pass through to allow suspension. 9cm tall and 7 cm wide.